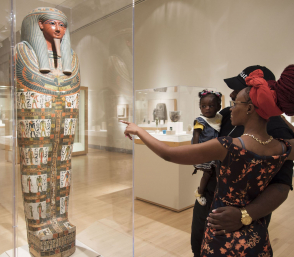 Registration is open for spring classes: Meet the Museum, for ages 2–3, and F.A.M. (Family Art Magic), for ages 4–6. View our calendar for more upcoming programs. We welcome Cool Culture families! For all ages. Drop in and explore your creative side. 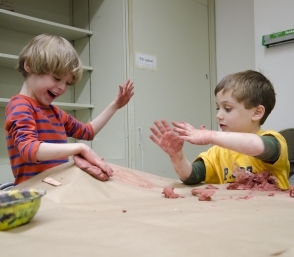 Join our teaching artists in the studio for an art-making session! Host a memorable birthday party with us! For all ages. Helpful tips and resources for making your visit a memorable one.